WCPE Episode 198 – Man-Crushing on Kurt Russell – WORST. COMIC. PODCAST. EVER! Cullen shares about his trip to the Oregon Coast Comic Con, and getting to meet the likes of Mike DeCarlo and Arthur Suydam. 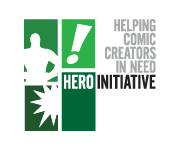 Give the recent news around DeCarlo and William Messner-Loebs, we make our plea for support for the Hero Initiative. We look at the recently-announced Black Label line of comics coming from DC Comics. What interests us and what doesn’t? We take a look at the first issue of The Brave and the Bold from Liam Sharp. Best artwork you will see all year! We make some wild speculations about the big Marvel announcement on Thursday, which turned out to be the return of the Fantastic Four. Let’s just say one of us got it right! As if this was not enough for one show, John has questions!